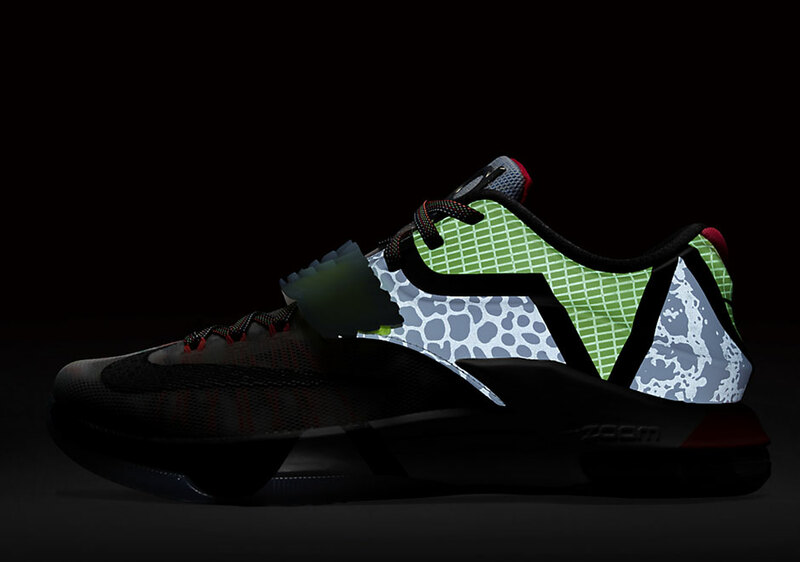 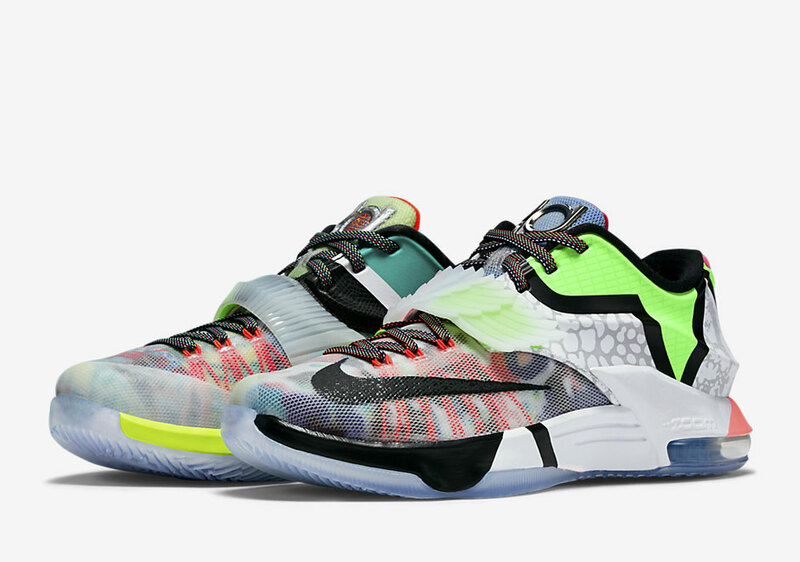 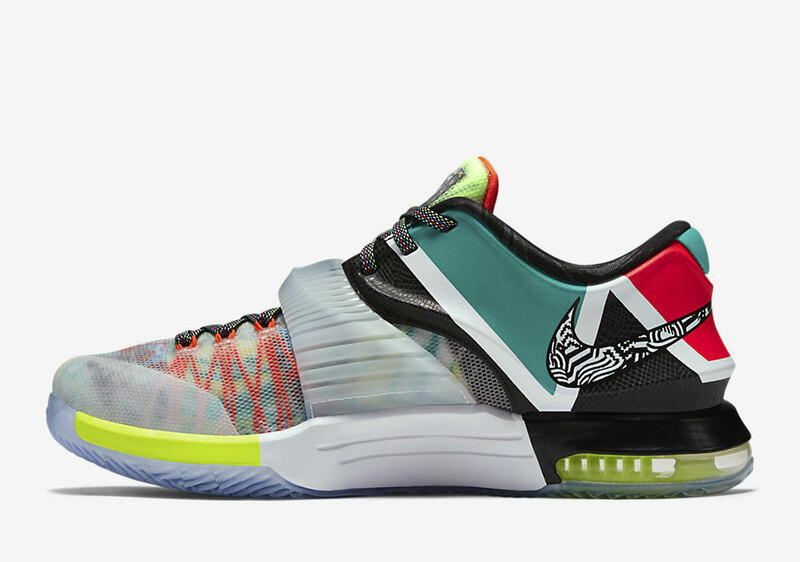 The” What The” tradition chugs on forward with the KD 7 silhouette, seen here for the first time. 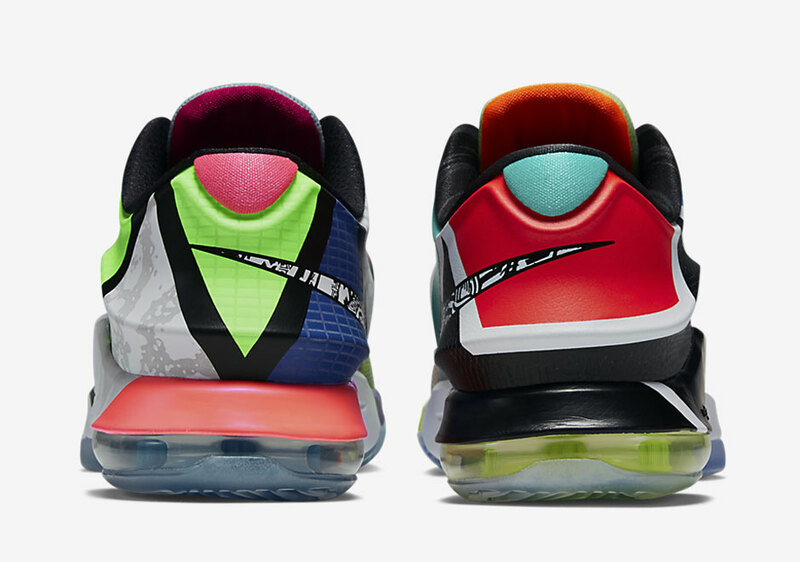 Nike takes the mash-up concept to new heights with completely different straps from the Aunt Pearl and Zoom City renditions, an array of vibrant graphics on the upper, and some new graphic prints on the Hyperposite heel with glow-in-the-dark effects. 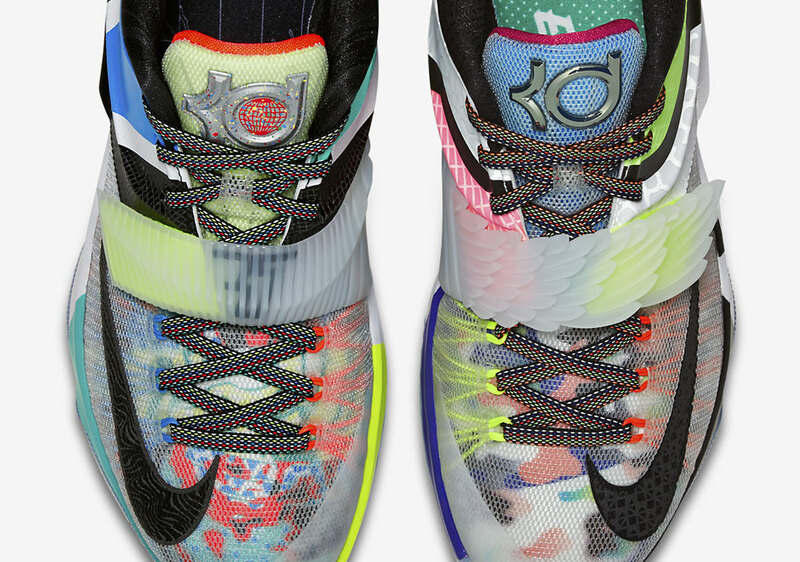 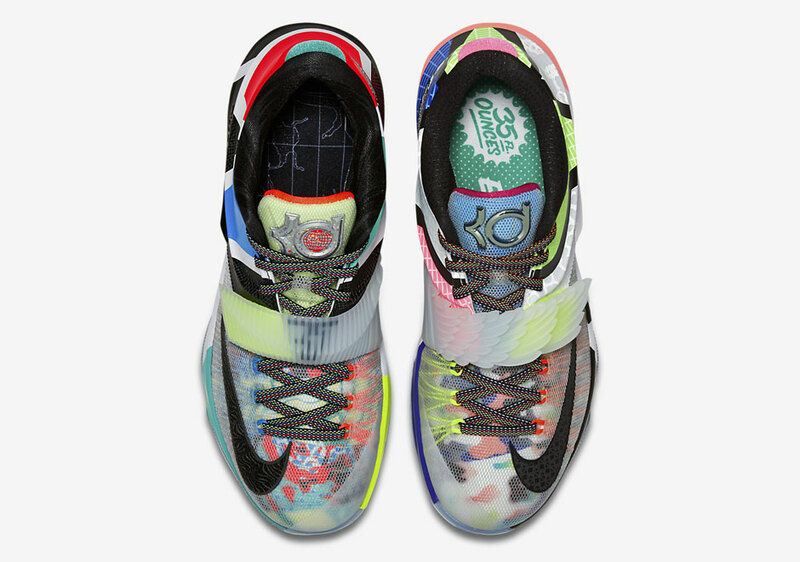 Is this the best “What The” KD release yet? 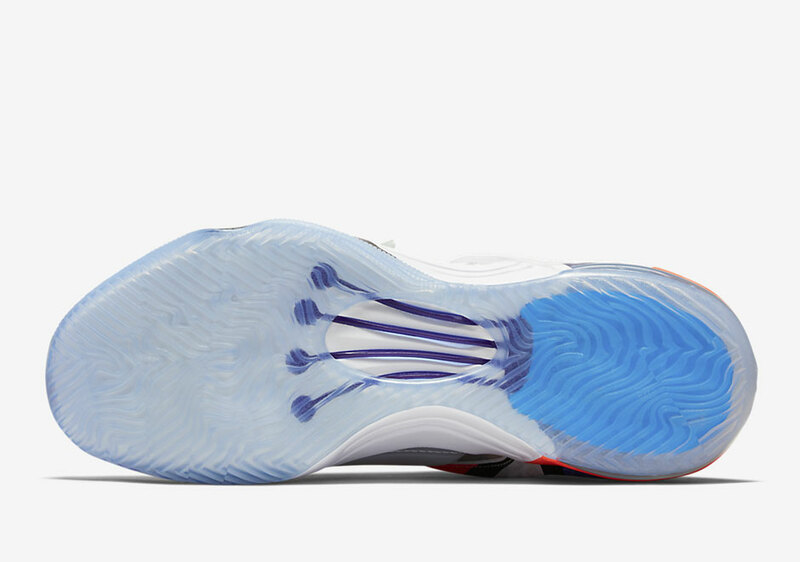 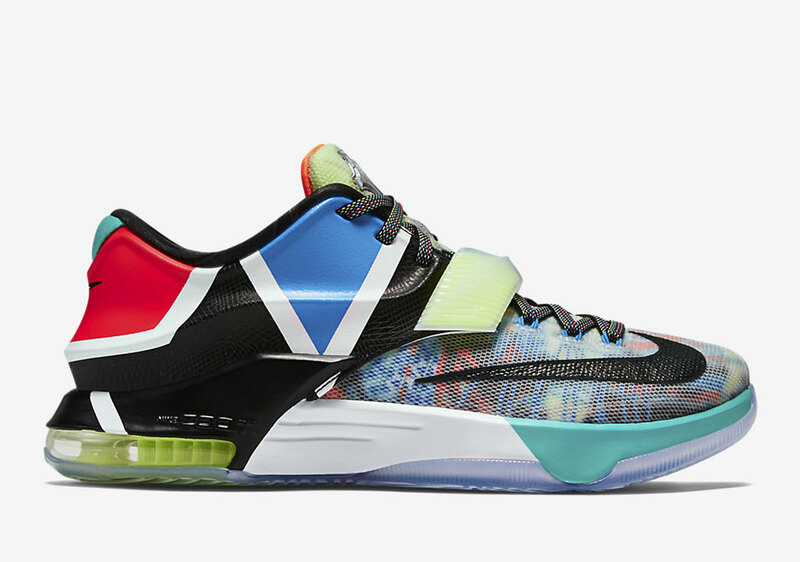 Get a first detailed look at the What The KD 7 below and grab these at Nike.com and other select Nike Basketball retailers on June 20th.